President Jacob Zuma has today, 21 April 2016, arrived in the Kingdom of Swaziland for consultation with His Majesty King Mswati III on matters relating to Southern African Customs Union (SACU). The President has already had discussions with Heads of States and Government of Botswana and Namibia on the matter. 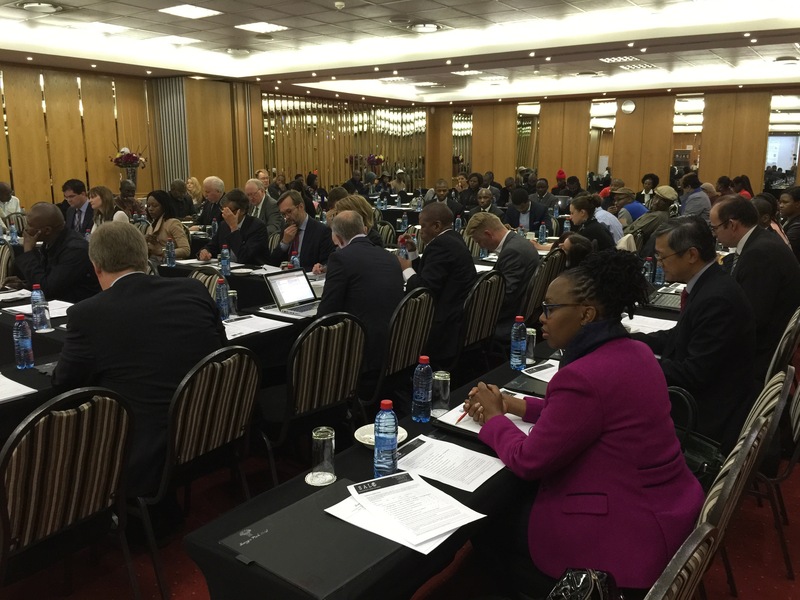 The consultations are a follow up to the discussions held by the SACU Heads of State and Government during the inauguration of the new SACU Headquarters building in Windhoek, Namibia on 12 November 2015 It is expected the discussions will also focus on progress in the implementation of the SACU work programme as adopted by the 2011 SACU Summit. The SACU, one of the oldest customs union in the world, is 105 years old and consists of five members, namely, Botswana, Lesotho, Namibia; South Africa and Swaziland. President Zuma, who is the current Chair of the SACU Summit, will be accompanied by Dr Rob Davies, Minister of Trade and Industry, Mr Pravin Gordhan, Minister of Finance, Mr David Mahlobo, Minister of State Security and Mr Luwellyn Landers, Deputy Minister of International Relations and Cooperation. Consultations with Lesotho are on-going to find a suitable date for the President’s visit to Maseru. 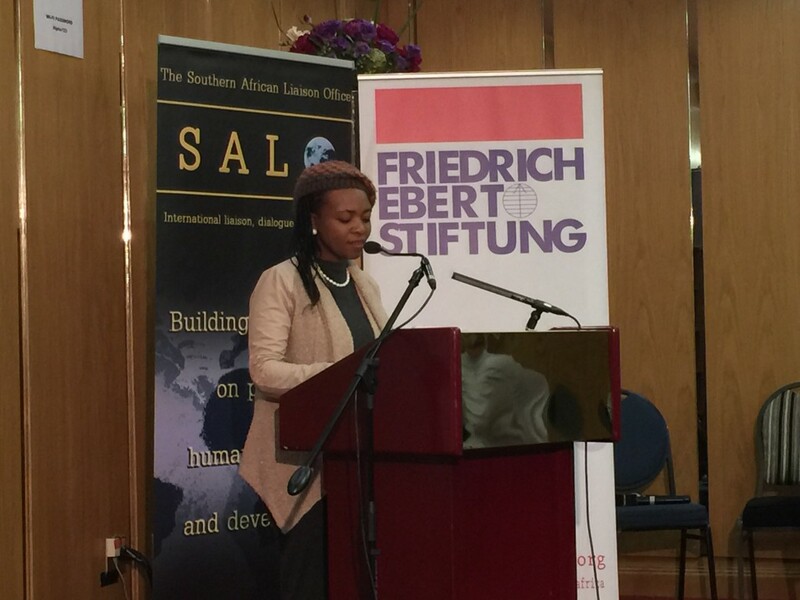 On 06 August 2015 SALO hosted a consensus building dialogue on Burundi, Lesotho, Swaziland and Madagascar. This dialogue focused on these countries within the context of recent multi-lateral interventions in the respective countries. The unravelling political situation in Lesotho has raised questions about the efficacy of multilateral interventions to resolve domestic conflicts. Zimbabwe and Madagascar, like Lesotho, have come out of SADC-brokered mediation and certain cross-cutting challenges and limitations have been observed thus raising fears about the sustainability of the political settlements upon which current political dispensations in those countries are based. 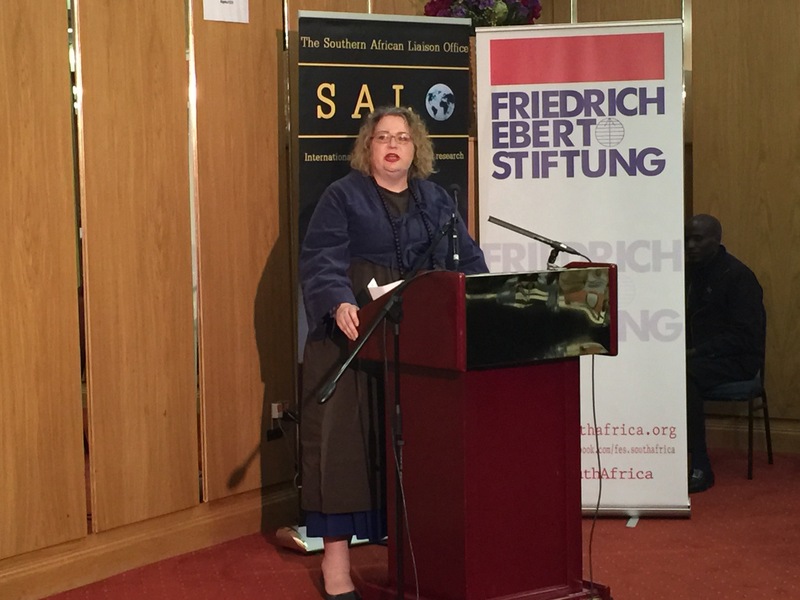 None of the three countries have been able to fully implement SADC-recommended democratic, political and institutional reforms deemed necessary to ensure stability. 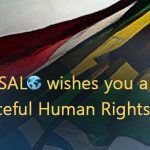 That hardly four months after holding a SADC-supervised election meant to resolve a late 2014 political crisis, Lesotho is in a crisis after the assassination of former army commander Maaparankoe Mahao, means that dialogue to examine and strengthen multilateral interventions is even more pertinent. The situation in Burundi, where the country has disregarded AU proposals to resolve its domestic political crisis, provokes similar questions. The AU’s leverage on Burundi seems limited and the country may plunge into armed conflict with the continental body watching helplessly. 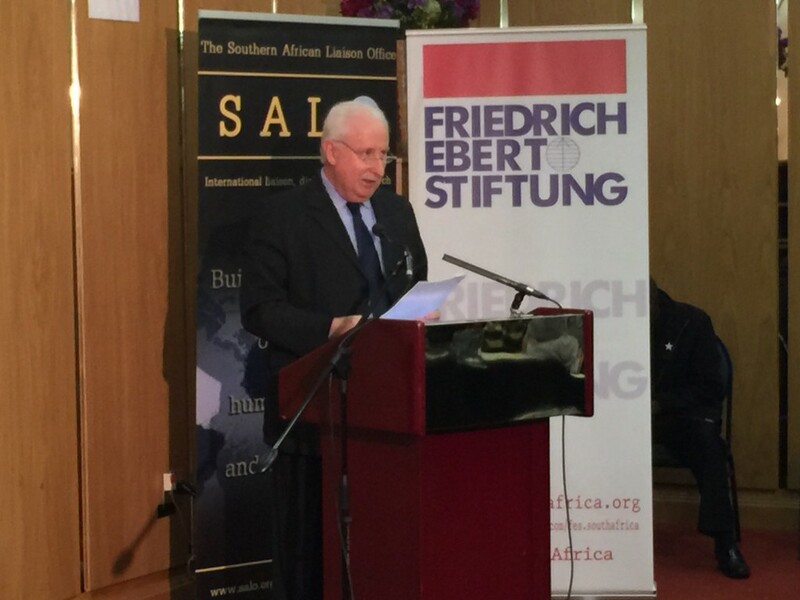 The implications of this for the AU’s role and credibility in mediating and preventing conflicts are potentially far reaching. 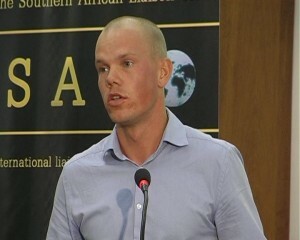 and Friedrich-Ebert-Stiftung (FES); the Royal Norwegian Embassy, Pretoria; Irish Aid and the Embassy of Ireland, Pretoria. Mario Masuku and Maxwell Dlamini were granted bail by the Supreme Court of Swaziland after spending more than a year in prison charged with sedition and terrorism. Acting Chief Justice Bheki Maphalala, Justice Jacobus Annandale and Acting Supreme Court Judge Rob Cloete served on the bench that granted the PUDEMO leader and the youth leader bail on the morning of the 14th of July 2015. As most oppositional political leaders are out on bail, and have been for many years, this could effectively be seen as their release. The release follows the acquittal of human rights lawyer Thulani Maseko and Nation Magazine editor Bheki Makhuby on the 30th of June, convicted for contempt of court in 2014. They were acquitted by the Supreme after serving 15 months of their two years sentences. 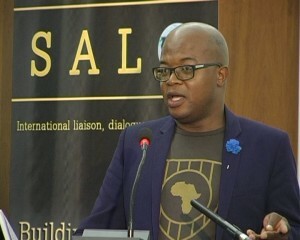 A number of international actors, especially the International Labor Organization, the United States and the European Union, have put significant pressure on King Mswati and it would appear that the release of the political prisoners is an attempt to accommodate this criticism while sanitizing the kingdom’s judiciary after the recent internal conflicts. 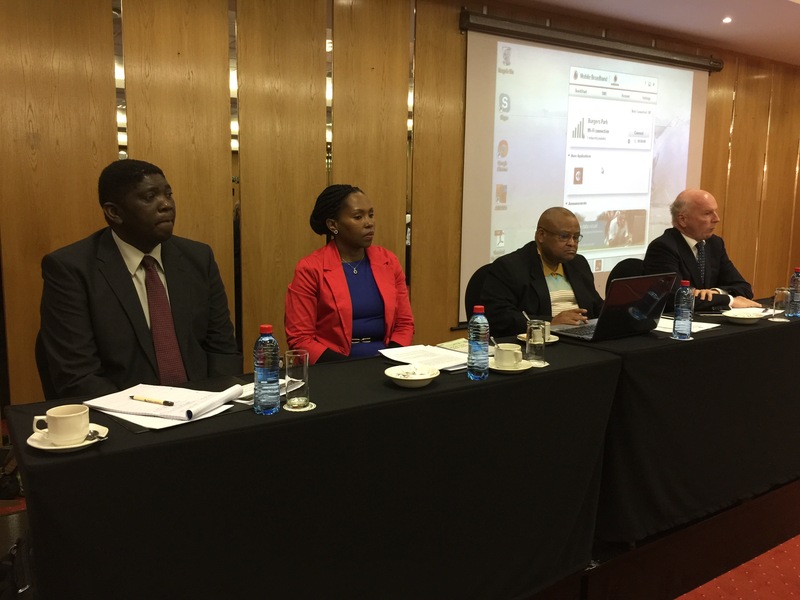 These conflicts include the arrest of the justice minister Sibusiso Shongwe, and judges Mphendulo Simelane and Jacobus Annandale. 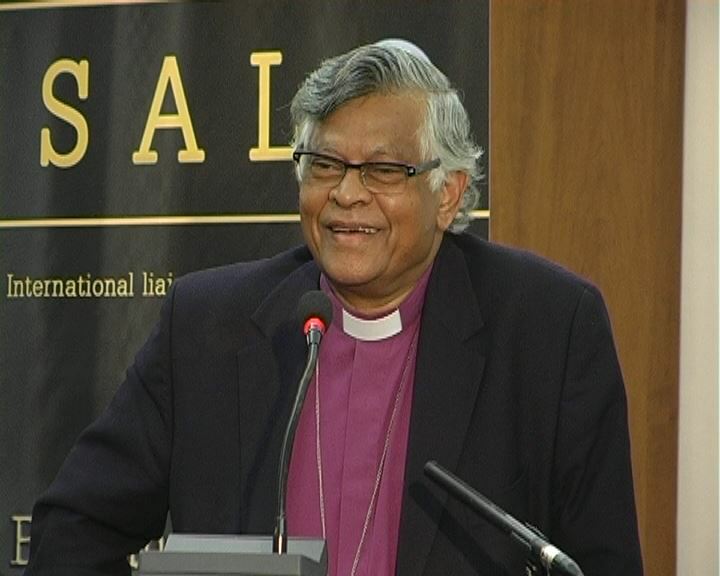 But perhaps most illustrative of the conflict is the flight of Chief Justice Michael Ramodibedi, who hid away in his mansion outside Mbabane until corruption charges against him were dropped and he could flee to South Africa. While the release of Mario Masuku and Maxwell Dlamini, and Thulani Maseko and Bheki Makhubu, is an important victory for the pro-democracy movement of Swaziland, it is uncertain what the future will bring. 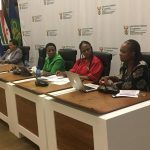 The Suppression of Terrorism Act, which Masuku and Dlamini was prosecuted under, has not been revoked and can still be used to prosecute political opposition. The Peoples United Democratic Movement (PUDEMO) welcomes the release of Human Rights lawyer Thulani Maseko and magazine editor Bheki Makhubu from prison. Even though their families and friends have suffered untold misery, it gives hope that sanity is beginning to prevail even though such had to be achieved through bitter castigation by local political activists, human rights advocates and the international community. 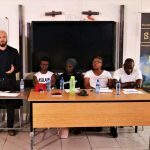 This move which was brought about through immense pressure exerted through the collective effort of campaigns by Swazi activists and the international community; otherwise it would be repression as usual had there be no voices of reason. The release of Maseko and Makhubu will not be welcomed through celebration because the struggle continues, but will be welcomed with a rain of dissent towards isolating Mswati III and his government. Campaigns will be intensified as the release of the above two is but a drop in the ocean of the violations and atrocities that are perpetrated by tinkhundla regime. As much as the two walk from the smaller prison to the bigger open air prison which is Swaziland, their children who have been ruthlessly deprived of father figures will breathe a sigh of relief, even if the trauma of having to be brutally parted with their caregivers will last a for the rest of their lives. We also remind the international community that PUDEMO’s President Mario Masuku is still languishing in jail in the sickly state that he is in. Maxwell Dlamini, SWAYOCO Secretary General still continues to be denied his education while he languishes in jail alongside President Masuku. The internationalist Amos Mbedzi is still serving the 85 years in prison meted by the tinkhundla regime. 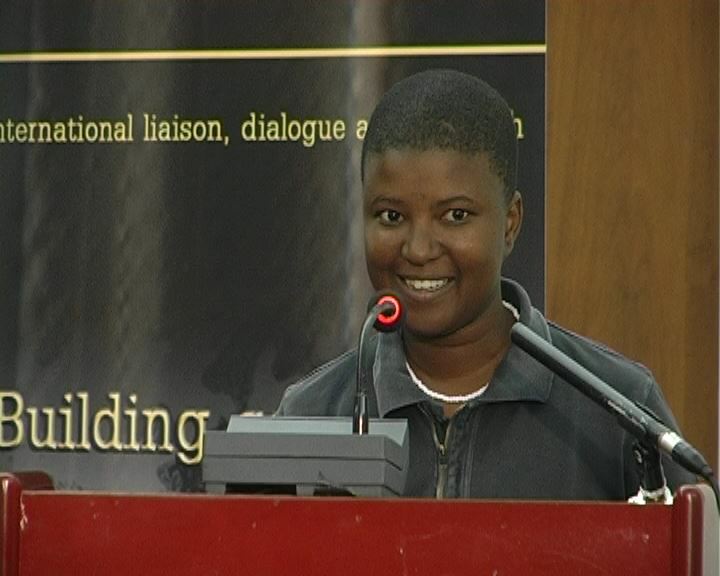 We still demand the release of Zonke Dlamini who was given fifteen years in prison through non-existent evidence. We also continue to demand the release of all other political prisoners. Even though the leadership of Kaizer Chiefs and Orlando Pirates have opened communication lines with Swazi people on the issue of boycotting the Kings Cup which is a tournament that seeks to legitimise a dictator and a murderer, we continue to demand that the two South African soccer giants must not put their name to shame by partaking with a king and a government who does not have any regard for the rule of law, human rights, and democratic governance. Swaziland continues to be dead weight on an Africa which is straining to transition to democracy because of delinquent capital that continues to promote and encourage corruption and dictatorship. As small as Swaziland is, it would be careless of the international community to let it run renegade in a global atmosphere where the pursuit is civilisation. Left as is Swaziland will be an encouragement to dictators who subscribe to the false notion that Africa is exceptional hence it will remain a desolate desert in regard to good governance. PUDEMO remains open to rescue tinkhundla regime from its self-imposed political and ideological paralysis through genuine and earnest political dialogue. NB. The People’s United Democratic Movement (PUDEMO) is a Swazi political movement committed to the creation, protection and promotion of a constitutional multi-party democracy, a transparent and accountable government, an environment conducive to the economic growth and empowerment and the development of a culturally vibrant and tolerant society, based on maximum participation and respect of the will of the people. It is waging a struggle for political freedom in the small kingdom of Swaziland (Africa’s only remaining absolute monarchy). PUDEMO is a banned Liberation Movement in Swaziland and its leader (President Mario Masuku) is in prison alongside other political prisoners while other leaders are in exile for pursuing these political objectives but the movement remains the leading voice of the poor and oppressed people of Swaziland and enjoys popular support from the broader society (trade union, youth movement and students, church, communities and other civil society formations). 1. 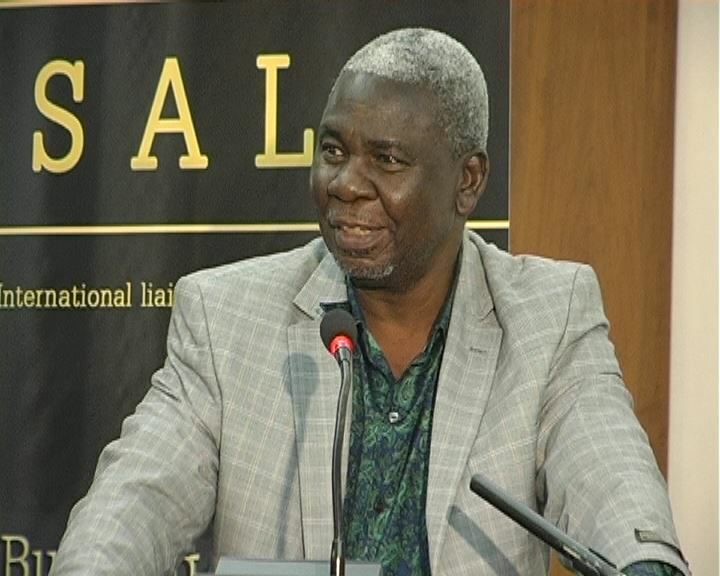 Mr Makhanya seemingly you are not joining in the celebrations of the reported arrest of Mpendulo Simelane, (pending) arrest of the Chief Justice Micheal Ramodibedi, Justice Minister Sibusiso Shongwe. Why? Mlungisi Makhanya (MM): Look, PUDEMO welcomes the arrest of anyone involved in criminal activities. However, we don’t celebrate the latest developments. This is the attitude we have adopted with regards the arrest of these individuals who, may I add, have abused the high position and the trust the public bestowed on them owing to their positions. Some of them have brought misery to many families of innocent democracy loving Swazis. To us, therefore, this is not a moment for triumphalism or factional alignment. Instead, the entire nation must take a moment and reflect on how we got here and how we can ensure that our beloved nation never goes through such a dark period again. We remain convinced that only the opening up of the political space and the building of democratic culture can guarantee that there is no abuse of institutions of the state and that those entrusted with judicial powers uphold the law. Having said that, I must add that there still remains a lot of unanswered questions about how deep the network of this judicial syndicate operated as well as the role (or abuse) of the Anti-Corruption Commission (ACC) to settle political scores. We are obviously hoping to get more information as the suspects appear in court. 2. You will agree with me though that the system is made up of warm bodies–individuals. The system is not some object in the sky, it is pillared by individuals, whose fall or otherwise matter in the bigger struggle to remove the ‘system’. Surely small victories like the crackdown of the judicial syndicate should draw applause from you? MM: The temptation will always be there to celebrate the downfall of those who have brought misery in your life but remember PUDEMO is a revolutionary movement and true revolutionaries are always guided by the spirit of love. We are in a struggle because we love our people. Consequently, we want to create a political culture where love blossoms; love for fellow human beings regardless of colour, creed, sexual orientation, religious belief or even political beliefs. You see Mr Nxumalo, the reason PUDEMO is the leader of the struggle in Swaziland is because it has learnt in its 31 years of existence that oppression (because it dehumanises) affects both the oppressors and oppressed. It is the oppressed who must, from his vintage point of being oppressed, wage a struggle for a humane society. Ours therefore is not to recycle the same culture of hate where once we in power we dispense vengeance, revenge etc. We must not just liberate the oppressed but the oppressor too by assuring him that he too shall enjoy the shade of democracy. We will make him comfortable in the new democratic dispensation. Importantly, we will teach him the new values of the new society we want to build which will be anchored by love, tolerance, humanity, accountability, human rights etc. The oppressor, who is himself dehumanized because he dehumanizes others, is unable to lead this struggle. It is therefore up to us as PUDEMO to demonstrate practically what we mean. It is for that reason, therefore, that we expecting all the arrested individuals to be afforded what they concomitantly denied President Mario Masuku, Cde Maxwell Dlamini, Cde Thulani Maseko, Cde Bheki Makhubu, Cde Zonke Dlamini, Cde Amos Mbedzi and many innocent Swazis who continue to languish in Tinkhundla jails; FAIRNESS AND JUSTICE. 3. 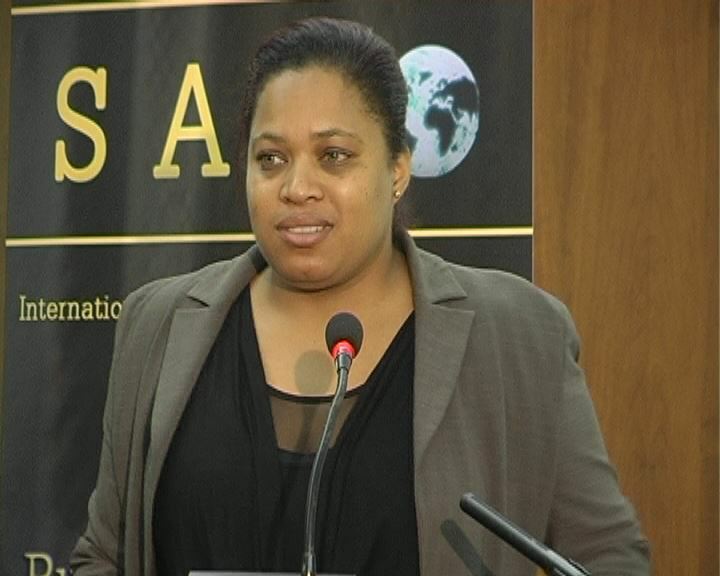 In the statement PUDEMO released recently you make a (conspiratorial) case that there is seemingly abuse of power by the Prime Minister who uses the Anti-Corruption Commission (ACC) as a trojan horse to fight his political nemesis. Really? MM: The point we are making is that the workings of the ACC seem to bare all hallmarks of an institution abused by the executive, in particular the Prime Minister. This is a big concern to us. 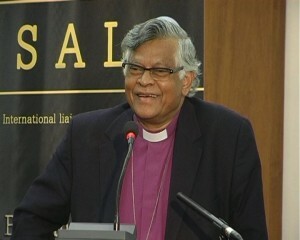 The ACC is a very important institution, in particular in a country ravaged by rampant corruption such as ours. The economy is losing hundreds of millions of Emalangeni to this scourge and we want the ACC to execute its mandate without fear or favour and far away from the manipulations of politicians. What we are currently experiencing is a situation where those who are close to the ruling political elite are shielded from the reach of the ACC and only after a political fallout do we begin to see people being hounded and investigated for all sorts of things. If you look closer you realize that all these things the justices are accused of are things they have been doing all along while still close to the powers that be. 4. Some people are asking themselves if the arrest of Judge Mpendulo and the Chief Justice mean that human rights lawyer Thulani Maseko and Editor Bheki Makhubu have been vindicated and therefore would have to be released. MM: We have always maintained that Cde Thulani and Bheki were treated extremely unfairly and their continuous imprisonment a grave injustice. We see the latest developments not only as a vindication of these two brave sons of the soil but as a vindication of what we, together with other democracy and peace loving Swazis, have been saying. Tinkhundla has demonstrated beyond measure that they are incapable of being reformed, Swaziland needs to take a new path. This new path is multi-party democracy where the rule of law, not of a single man, is supreme. I am, however, not sure if this means legally Bheki and Thulani have to be released. What is without a doubt is that ethically, morally and politically they have indeed been vindicated. 5. Seems to me the regime has coiled itself into internal paralysis. If it is not a judicial mess it’s the king’s jet fiasco. Talking of which, were you guy not appalled to learn that Members of Parliament want to buy the king a new jet—just for control? Perhaps linked to this is the fact that don’t you regret that you do not have a presence in parliament maybe you would have opposed this and saved millions of tax payers’ money? MM: Your observation is absolutely correct about the paralysis engulfing the regime. Clearly, it is now beyond redemption. 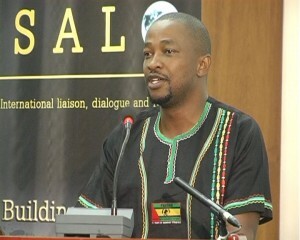 It is precisely this reason that as PUDEMO we don’t take a piecemeal approach to these developments but a complete view that seeks to posit that we must s a nation elevate their Majesties to Constitutional Monarchy status and allow ordinary Swazis to directly elect their government through a multi-party political dispensation. This will in turn ensure a responsive, accountable and transparent government. This will further ensure that we have an effective parliament that holds the executive to account not this bunch of jokers we have who obsess about jets over and above the appalling state of healthcare and grinding poverty facing our people. Having said that I want to say that the most cardinal principle for any revolutionary movement though is never to lie to the people. 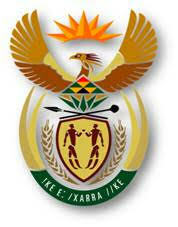 Going to the current toothless parliament would be deceiving the masses and betraying the noble cause of our struggle. The executive treats this parliament with contempt knowing it can do nothing because they are only accountable to the appointing authority. The classical example is that of President of Swadepa, Cde Jan Sithole. He may be well meaning but he finds himself drowned by those praise singers and his attempt to raise substantive issues fall flat. 6. Going back to the issue of the judicial crisis. What should happen now? Who will act as the CJ? Do you expect the same JSC (that is headed by the inducted CJ) to be able to suspend Judge Mpendulo and the CJ as should be the case? MM: We don’t expect anything from this illegitimate and corrupt regime. What we expect is for ordinary Swazis to rise up and say enough is enough, we are tired of this rot that has defined our existence since time immemorial. The people must demand a government of the people, by the people, for the people and not this sham. For us we don’t care much about who becomes the next CJ, we concern ourselves about the selection process; it must be transparent and open to ALL qualifying Swazis and that whoever gets the post must be a person of high Integrity. We believe there are many capable Swazis on the bench and outside who can fill this position. Let me say this as well regards the arrest of the justices while I still remember. While we are presently not privy to the exact charges faced by the justices but based on what has been reported in the media it seems to us that some of the charges are not per se criminal in nature but ethical misconduct that should be dealt with in the laid down disciplinary process of the justices/lawyers. We say this because we want to avoid an instance where we set a precedent that if as a judge you mess (read rule against) the executive you will be hounded on spurious charges and arrested. Not that this is the case with the present arrest but we must tread cautiously as a nation. For now let’s allow the courts to deal with this matter and determine if these charges merit criminal proceedings. 7. Seems the problem of corruption is endemic in Swaziland. In the past five years senior and high ranking officials in government have been arrested on charges of corruption and some are even serving long sentences in jail. Now, we are saddled with a case of a minister of the crown facing corruption charges. How would you deal with corruption because it seems to me in the interest of national unity and stability we may need to establish a corruption Truth and Reconciliation Commission where people confess and we let them free? MM: Corruption is a cancer that a PUDEMO government will have to deal with decisively and ruthlessly. First, we will make sure that ALL public representatives are subjected to regular means test (some kind of a lifestyle audit). Secondly, we will declare ALL acts of corruption crimes against the people and ensure severe punishments for all those found guilty of these heinous acts. Thirdly, we will make sure that the intersection between business and politics is brought to an end; people will have to choose if they want to be public representatives or businessmen. 8. Have you been happy with how the media has been reporting the fall out between the Prime Minister and the Chief Justice or the Minister of Justice and the Prime Minister? They have tried, give credit. MM: I have been least concerned about how the media reports about this because I have long accepted that we have a media that is incapable of going beyond the sensational aspect of stories. There is a paucity of deeper analysis and investigative element in our current media discourse. What is sad is that it is not the absence of capable journalists, competence or skill but rather the repressive and hostile environment that prevail in Swaziland. Otherwise, Swaziland has one of the best journalists in the continent as you can see with the likes of Bheki Makhubu, Musa Ndlangamandla, Philile Masango, Lunga Masuku, Nimrod Mabuza, the late Sabelo Mamba, Sibongile sky Sukati, Vusi Sibisi, Mbongeni Mbingo, just to mention but a few. 9. Is there no causal link between the withholding of the king’s jet and the inducting of the Chief Justice? The timing sounds fishy. But will uphold my conspiracy theory for now. MM: Anything is possible, what is more important to note about the impoundment of the jet though is that it is purely a commercial transaction between two businessmen who allegedly owe each other money. It has nothing to do with Swazis as it has been reported. 10. The issue of separation of powers between the three arms of government has been exposed by this judicial crisis. Here is a CJ being summoned to some traditional structure somewhere. Ignore his criminal activities but why would a head of a different arm of the government report to another arm of government (for lack of a better word)? It strikes me as odd. MM: I am not even sure where one would locate the traditional structure in the three arms of the state. It seems to me they are all three in one. The problem in Swaziland is the total disregard of the Constitution despite that it is purported to be the supreme law of the land. The Constitution, with all its imperfections, remains an irritation to the traditional authorities who believe that their word is the law. 11. How can we ensure this does not repeat itself again? I honestly sense from now on there will be hostility between the judiciary (and I mention the word ‘judiciary’ cautiously knowing it is a case of a few rotten apples) and the executive. MM: Under a PUDEMO government the Constitution (not this one) as the supreme law will regulate the conduct of EVERYONE. The courts will be the final arbiter in every dispute and judges will enjoy security of tenure. They will never be accountable to the executive. It is going to be their Oath of office and their noble profession that will guide them. The mistake you seem to be making is to think that there is separation of powers in Swaziland. We don’t have such. We live under an absolute monarchy and the nature of the Swazi state is that it is at the service of the monarchy not the people. Under a new democratic dispensation the people shall reign supreme. 12. So when all has been said and done historians shall write that the moral of the story was that all were equal before the eyes of the king but Barnabas was more equal than the rest? Who would have thought the king would sanction the arrest of Minister Sibusiso Shongwe given the boisterous nature of his engagement with the Prime Minister, his superior? MM: Let them devour each other for all we care. PUDEMO won’t have sleepless nights over this drama. What gives us sleepless night is the plight of the workers who have lost their only means of livelihood after the loss of AGOA, the families who continue to lose their loved ones because of botched operations carried out in government hospitals due to the exodus of competent doctors, the families of Swazis who continue to perish in South African roads trying to make a living outside the country. Those are the things that concern us more, not who is the best praise singer between the two Sibusisos. 13. 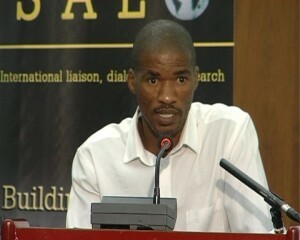 While everyone was focusing on the xenophobic violence Mario Masuku was moved from the remand centre to Matsapha prison. Fill us up whats going on? MM: The same evil regime that subjected Cde Thulani Maseko to three weeks of solitary confinement was at it again, this time transferring our comrades from one notorious prison to another. Their desire is obviously to try and brake the morale of our leaders. But like previous attempts, this desperate measure is bound to fail. PUDEMO condemns the continuous ill treatment of our leaders and that of all incarcerated people in the strongest possible terms. We call upon the international community to raise its disapproval of such draconian actions. 14. From the last time we spoke interesting developments have happened in South Africa where most of your support comes from. In particular COSATU’s Zwelinzima Vavi has been fired. Truth be told South Africa’s politics is fast changing. 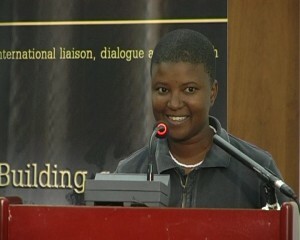 Where does PUDEMO fit in the ever changing balance of forces in the alliance in particular and South Africa in general. MM: PUDEMO doesn’t involve itself in the political dynamics of our neighbouring country. All that we do is to learn from these happenings. 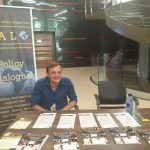 We believe these critical lessons will help PUDEMO to avoid pitfalls in a democratic Swaziland and manage its alliances/partners better. We will never pick sides except to emphasize that PUDEMO has always enjoyed a very warm relation with the tripartite alliance in South Africa and have no intention of changing course. We will jealousy protect this relationship while continuing to welcome any support for the Swazi struggle from all well-meaning progressive organizations in South Africa and across the world. 15. Let me close by asking you to same something about this xenophobia we have seen in SA. Surely you must have been appalled But let’s face it, can Swazis condemn xenophobia with a clear conscious when Mozambicans were treated so inhumanly when in the country during the hard and difficult days of civil war? 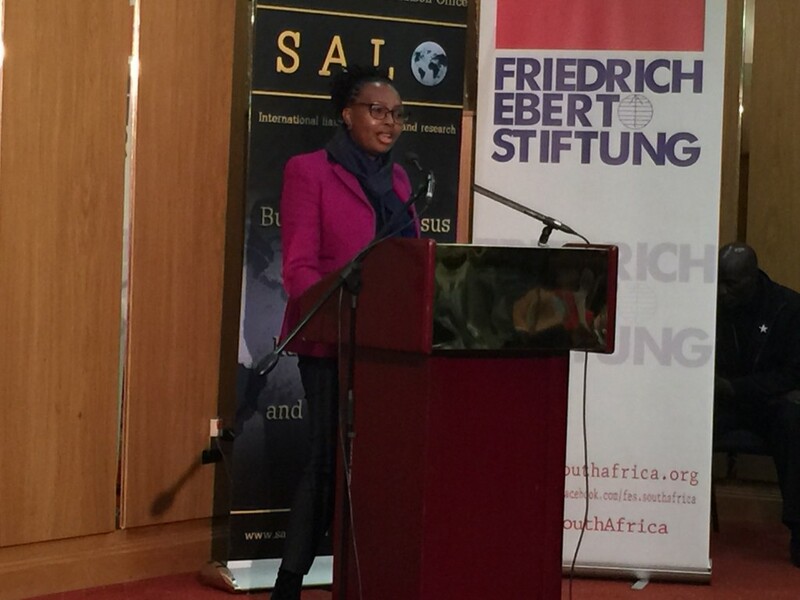 MM: We deplore the recent xenophobic attacks and any form of discrimination will never enjoy support from PUDEMO. I think Swazis can with clear conscious condemn the happenings in South Africa, I think it will be dangerous to over generalize and say Swazis ill-treated Mozambicans during the difficult times in that country. Yes like everywhere in the world, you will find xenophobic Swazis but generally the overwhelming majority housed, fed and embraced Mozambicans. I can tell you for instance that where I grew up in Msunduza, we has a high population of Mozambicans and I can’t recall a single incident where they were attacked. Many of them have integrated into that community and there is peaceful coexistence. 16. One of your main auxiliary structures has been openly calling for King Zwelithini’s head after the statements he made recently about foreigners. Do you share their sentiments that the Zulu king is to blame as most people do? Which auxiliary structure is that? The SSN is not a PUDEMO auxiliary structure, it is an organization of South Africans who are in solidarity with the oppressed people of Swaziland. The fact that the current spokesperson of the SSN happens to be a Swazi doesn’t make that organization Swazi or an auxiliary of PUDEMO for that matter. It is within this context that we understood their condemnation of the Zulu Monarchy; we saw it as a South African organization calling one of its leaders to order. We may not agree with the manner they did it but that is not our space to go. I must hasten to welcome the pronouncements of the Zulu King at the Royal Imbizo yesterday where he called upon all the people of KwaZulu Natal to embrace and protect fellow Africans. That was quite heartening from His Majesty. 17 Thanks for your time. MM: Thank you for affording us this opportunity once again, May God bless!! 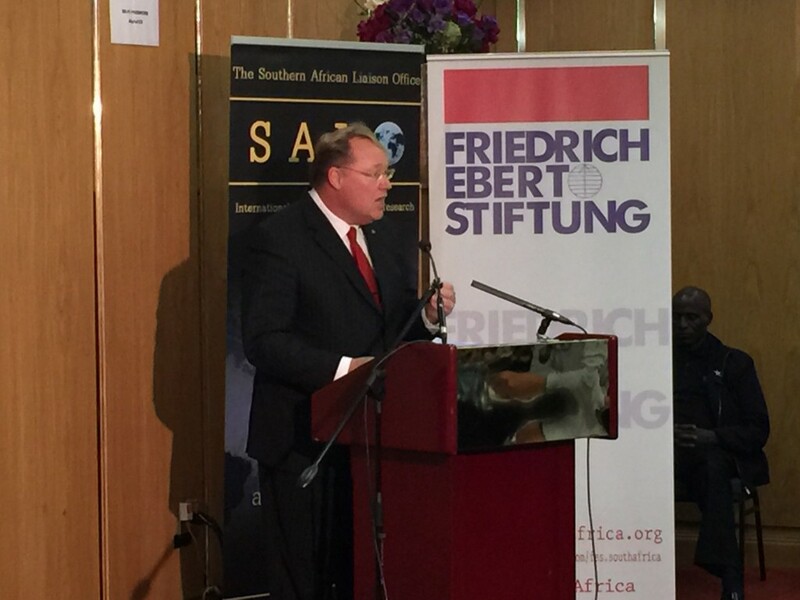 The political situation in Swaziland is continuing to deteriorate with increased suppression of pro-democracy activity. 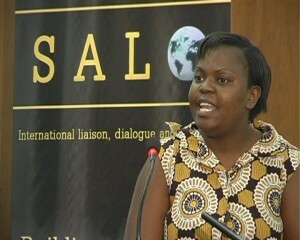 Recently, a meeting of the Trade Union Congress of Swaziland (TUCOSWA) was disrupted by police and turned violent. The abuse of the country’s justice system by the monarchy continues unabated as seen by the postponement of court hearings on the constitutionality of the country’s Suppression of Terrorism Act. The fate of Mario Masuku, the President of the People’s United Democratic Movement (PUDEMO), and Youth Leader Maxwell Dlamini who have been incarcerated since May 2014, depends on the outcome of this hearing. Mario is diabetic and since his incarceration, his health condition has been worsening. Human Rights Lawyer Thulani Maseko and editor of The Nation magazine Bhekithemba Makhubu are still serving a two year prison term for a contempt of court conviction arising from publishing an article critical of Swaziland’s judiciary. While ultimately, effecting democratic change lies on the shoulders of the Swazis, the history of democratic struggles world over tells us that South Africa, the region and the international community have a role to play. 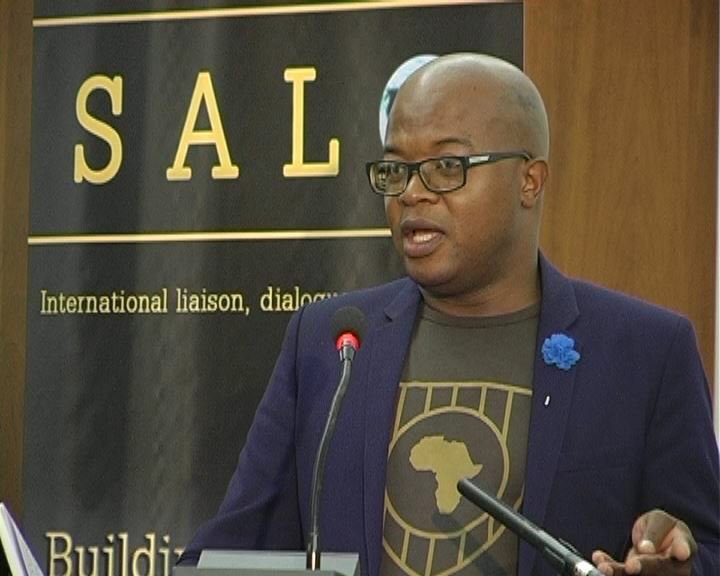 Thus far, the lukewarm regional and international responses to the situation in Swaziland raise questions about notions of “international solidarity” and the place for “value driven international relations” in our contemporary world. 2. Discussing ways in which actors in South Africa and the region can positively influence the political developments in Swaziland. 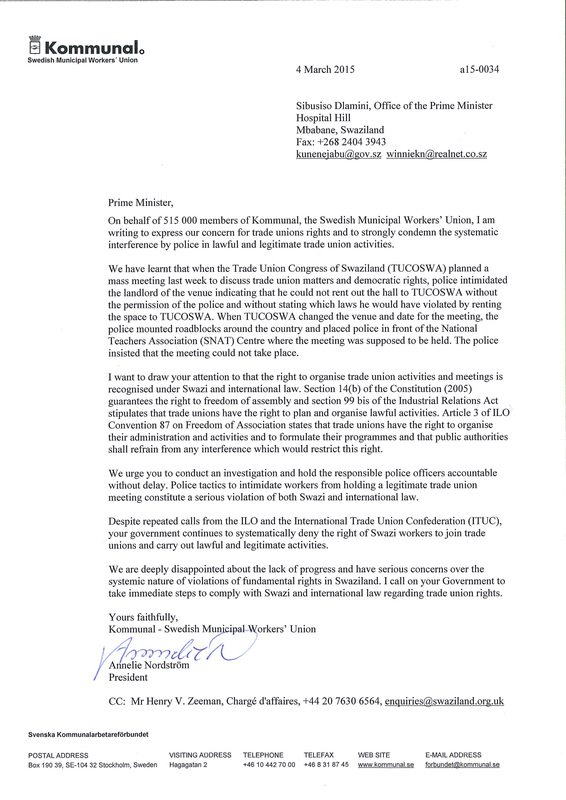 On behalf of 515 000 members of Kommunal, the Swedish Municipal Workers’ Union, I am writing to express our concern for trade unions rights and to strongly condemn the systematic interference by police in lawful and legitimate trade union activities. We have learnt that when the Trade Union Congress of Swaziland (TUCOSWA) planned a mass meeting last week to discuss trade union matters and democratic rights, police intimidated the landlord of the venue indicating that he could not rent out the hall to TUCOSWA without the permission of the police and without stating which laws he would have violated by renting the space to TUCOSWA. 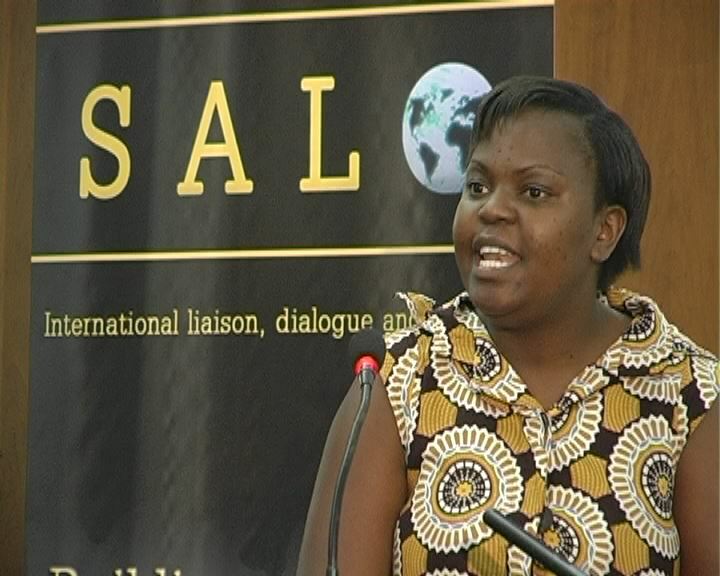 When TUCOSWA changed the venue and date for the meeting, the police mounted roadblocks around the country and placed police in front of the National Teachers Association (SNAT) Centre where the meeting was supposed to be held. The police insisted that the meeting could not take place. I want to draw your attention to that the right to organise trade union activities and meetings is recognised under Swazi and international law. Section 14(b) of the Constitution (2005) guarantees the right to freedom of assembly and section 99 bis of the Industrial Relations Act stipulates that trade unions have the right to plan and organise lawful activities. Article 3 of ILO Convention 87 on Freedom of Association states that trade unions have the right to organise their administration and activities and to formulate their programmes and that public authorities shall refrain from any interference which would restrict this right. We urge you to conduct an investigation and hold the responsible police officers accountable without delay. 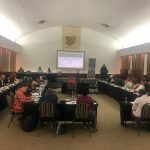 Police tactics to intimidate workers from holding a legitimate trade union meeting constitute a serious violation of both Swazi and international law. Despite repeated calls from the ILO and the International Trade Union Confederation (ITUC), your government continues to systematically deny the right of Swazi workers to join trade unions and carry out lawful and legitimate activities. We are deeply disappointed about the lack of progress and have serious concerns over the systemic nature of violations of fundamental rights in Swaziland. I call on your Government to take immediate steps to comply with Swazi and international law regarding trade union rights. 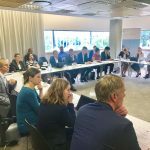 Kommunal, the biggest trade union in Sweden with over 515 000 members, is an affiliate of PSI, Public Services International.